Unlike most other companies – we are not only concentrating on selling our products, we provide one of the broadest and most comprehensive local service on our GPS navigation devices and accessories in the Philippines. Our customer’s greatest return on investment comes from the careful design of high quality hardware together with our local service. carNAVi Corporation is a full-service company, designing and manufacturing own navigation devices and accessories, providing service and repairs, support and after sales service. At carNAVi, we place a very high emphasis on a reliable design of our devices on which our clients rely. Our experience helps us guiding you towards efficient use of your resources, both by avoiding pitfalls and by identifying problems to improve productivity. We strive to keep our customers informed, serviced, and satisfied with the latest in GPS navigation technology. 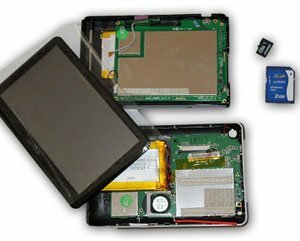 Service or repair for garmin, nuvi, etrex, papago, vector, avt, v-100, carryboy, r6300, x8, pn-301, pn-401, pn-501, roadguide, xenon, denkat devices is available somewhere in the Philippines.